“Sue and Matt are a great team! One of my most important expenses for my wedding was the DJ, ceremony music, and photography. Artz Music & Photography did not dissapoint! 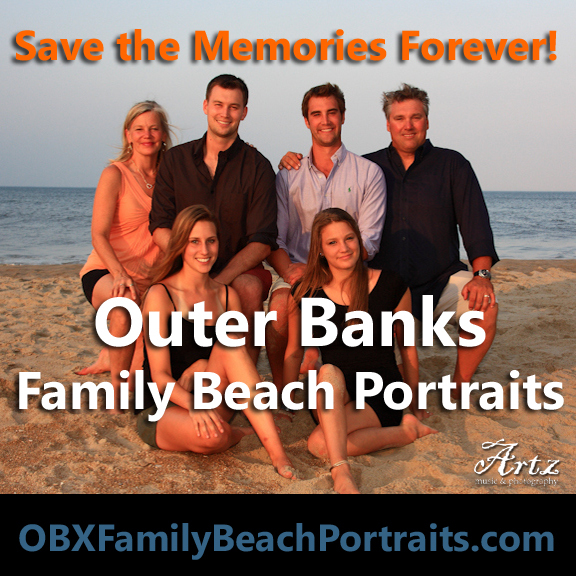 I did my research and found that Artz Music & Photography had THE best packages in all of the OBX. In fact, they were the only ones that provided all 3 services in one package! “I had plenty of questions while planning my wedding, since I was an out of town bride, and Sue was always quick to answer my every question and was a huge instrument in planning my wedding; I truly couldn’t have done it without her. “Sue was great on the violin during my ceremony and was also a spectacular DJ. She kept the party going all night long! “Matt was also awesome to work with. We didn’t have a videographer for our wedding but we truly didn’t need one. He captured every shot I could ever want. “They were hands down the best selection I made from all of my vendors. I would HIGHLY recommend them! Married on August 1, 2010 at The Hilton Garden Inn Kitty Hawk Pier in Kitty Hawk, NC.